PLC’s name is prominent and stands out in the market due to a rich portfolio of labels that are made to the highest quality standards in par with a wide range of customers’ expectations. Amongst our exclusive product range, fanfold labels are the most highly purchased one as they provide you with maximum printability and reliable error-free scans. The category of labels that feature ultra-white, high-print contrast facestock is largely used for labeling products, barcoding and part bins. They are designed to stack easier; thus uncomplicated and trouble-free printing is possible than their roller counterpart. They take less storage space than thermal transfer rolls since they are intelligently and structurally packaged in packs. They do not have to be loaded frequently like rolled labels. They feature a permanent general purpose adhesive, which is not in the case with their roller counterpart. They lie flatter than rolled labels, this ensure easy and quick printing. 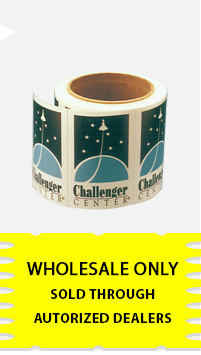 Whatever is your size and material requirement for fanfold labels, consider it is done at PLC. With a meticulous support of experienced employees and cutting-edge technique and machineries, we have been successfully meeting varied requirements of customers from multifarious industry sectors.